Arconati Kid Korner: Magic Kids™ & Company, Inc.
Stop paying too much on Kidswear! 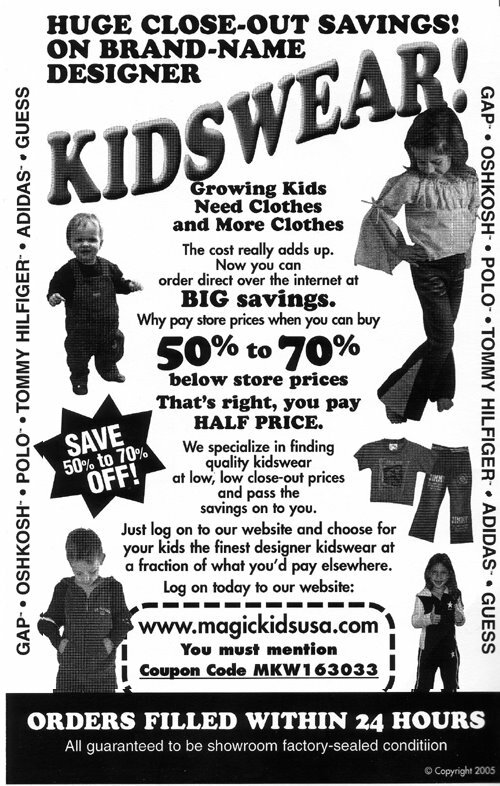 Magic Kids USA™ has name-brand kidswear starting at $2.65. Guaranteed lowest prices in the country on kids clothes. Buy at 50-70% off. Visit Magic Kids USA Online Store Cart, The Magic of buying quality kids clothing. You must mention Coupon Code MKW163033 for 50 to 70% below store prices.